The RENO shoe cabinet is a real looker! It has a stylish front, which no-one would suspect is hiding shoes! There are four doors, with shelves of differing heights behind the two top doors, and larger storage spaces below. Size is good, not too big and bulky, and it sits upon four feet. The front is in white gloss with an interesting circle design centerpiece/ handle arrangement. The remainder is in light brown wood veneer look. * Self-assembly, only the leg part. 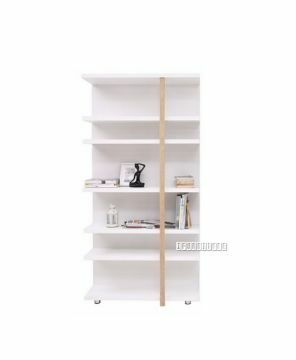 WHITWORTH bookshelf represents everything which is great about modern design, made with high-gloss lacquered panels and shelves. 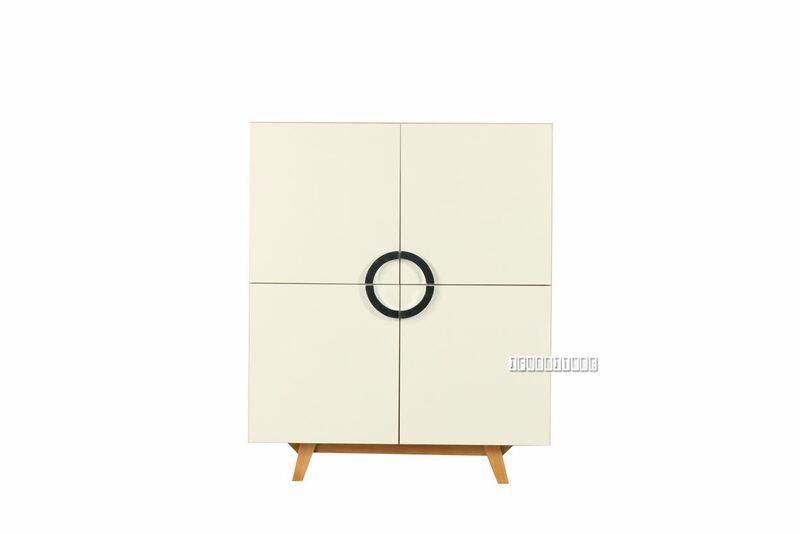 ZAYNE is a modern style design furniture range made with solid Acacia wood. It covers bedroom, living and dining extensive range.